Twenty years as the manager of any club at any level is a milestone which deserves respect but to achieve that in the top flight of English football is astonishing. Arsène Wenger arrived in north London to be greeted with headlines of “Arsène Who?” and derision from Sir Alex Ferguson. Despite success at Monaco – made all the more remarkable following the revelations of bribery and corruption committed by bitter rivals Olympique Marseille – spending time in Japan meant that the Frenchman was largely forgotten in European football. Few gave him more than two or three seasons. With his schoolmasterly air, Wenger was the antithesis of a football manager in the media’s eyes, and supporters as well. A third place finish in his first season won him some favour but the style of play more than anything else, won supporters over. Arsenal were among the best footballing sides in the country. A double in 1997/98 was almost followed by the same a year later; one point off the title and eliminated in the FA Cup semi-final by Manchester United. People forget how different history was close to being in 1998/99. The success which followed through the turn of the new century was unsurprising until the move to the Emirates. Persuading the fans to ‘buy into’ leaving Highbury was a tough job; Wenger carried the day for the board. Had he not been wholly supportive, willing to subordinate his own desire to win trophies, arguably the move would not have been the commercial success that it has been. That ‘selflessness’ – albeit with selfish motivations, knowing it would give him more time in the job once the full impact of the move was felt – is not something his predecessors would not necessarily have agreed to. It went against the grain of English football, against the notion of winning is all at a certain level. Yet it is also the case that more than a decade without the Premier League title has become a millstone around Wenger’s neck. Such has been his impact at Arsenal that the decade is seen as failure. If he is culpable in that respect, it is only in the past four or five seasons, certainly not before. Money could have been spent more wisely in the transfer market and the club could have done many things differently but hindsight is a wonderful thing which eradicates any mistakes. Looking back at the time Wenger arrived in north London is impossible without acknowledging the fundamental changes undergone in football itself. Wenger didn’t instigate these changes but for Arsenal, he was the perfect captain to steer the ship through. The perception of a stuffy Gentlemen’s Club with wisps of cigar smoke and brandy served at every board meeting has long gone; Arsenal is big business. If there is one moment, one incident – action or decision – which ensured Wenger’s legacy at Arsenal, it was the sale of Nicolas Anelka to Real Madrid. 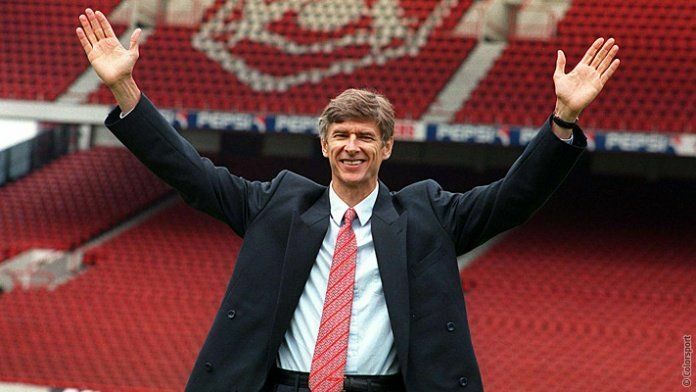 Bought for £500,000 from Paris St Germain, Wenger lost him to Real Madrid but not before extracting £22.3m. The profit built Arsenal a new training complex at London Colney, with a little left over to purchase Thierry Henry. The latter is something of a myth but the training facilities? That was pure Wenger. Involved intimately in the design, he equipped the club to the standard everyone presumed previously existed. They didn’t and Wenger made sure that they did. Bringing Arsenal into the 21st Century improved the club’s standing. No longer were they reliant upon the history which oozed from every crack and crevice at Highbury. The manager could now make the club’s training ground his base of operations, the selling point for new signings. But it was so much more than that. Seemingly insignificant changes mingled with the changes to diet and routines. Phasing out the drinking culture was no small move but necessary as he looked to promote a healthier attitude in the players. Equally, constructing training pitches to the dimensions to those of opponents was a change in the preparation; the smallest details were important and paying dividends on the pitch. That success underpins everything Arsenal is today. Doubles, unbeaten seasons, cups; they all add to the lustre around Arsenal. It helped build the legend – dare we mention it in a footballing sense, the ‘brand’ – and that attracted new supporters around the globe. On the pitch, the style of football became compelling toward 2003/04 and in that magical 49 match unbeaten run, a reputation stuck to the name Arsenal and the club cashed in on the manager’s success. Moving to the Emirates was another Wenger project. The areas of the stadium reserved for the players – the changing rooms, the treatment rooms – were his domain. Quite rightly, he had the final say on their design, making sure that those who entered the pitch wearing the famous red shirts and white sleeves were the best prepared they could ever be. Like Herbert Chapman before him, Wenger is laying the foundations for managers to come. Chapman’s influence is still felt the minute you walk out the tube station he had renamed. There were other things of course – the white sleeves on the red shirt, for example – and some of his notions were overtaken by technology. But like Wenger, the spirit of his idealism remains intact. Chapman wanted to create a great club; take the raw materials of the club he found and improve it for future generations. It was about winning trophies but that wasn’t the only thing which mattered. Ensuring that Arsenal Football Club became associated with class and the best that they can be was vital. Wenger is trying to do the same now. The training ground is once more set to undergo an overhaul, the youth academy to be similarly better equipped. The studious man from Alsace is determined that the club’s infrastructure on the playing side will be second to none. Talk of busts and statues is a fine ideal but leaving the club in a far better position than when he joined will give Arsène Wenger more satisfaction than anything else.